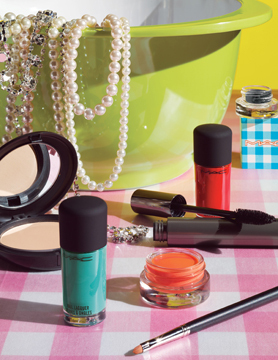 Who could resist a tagline like this: “Whether it’s detergent or diamonds, produce or Prada, everyone loves to shop, shop, shop!” Especially when it comes from MAC – the undisputed doyens of quirky, colour saturated makeup. 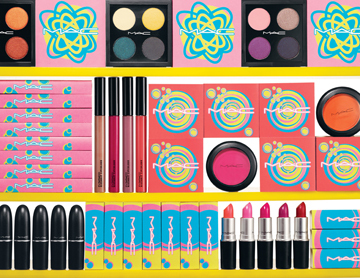 And the two new collections – Shop MAC and Cook MAC – do not disappoint. Neither of them are for the faint-hearted, and I promise they will earn you some serious attention! Only moot point – wish the actual packaging was redone in some of the sumptuous colours that dress the outer cartons, instead of the standard issue metallic black!